We always look for ways to give our customers more options for their purchases from us. Below is an explanation of our gift wrapping service. If there is no drop down options for our gift wrapping service, that means that option is not available for that particular item. Include a packing slip so the recipient knows who it's from. Keep the gift a surprise by concealing items that ship in only the manufacturer's original box. We will gift wrap the item based on your selection. The item(s) will then be placed in a protective box for shipping. Here are examples of the sizes of packages and which gift wrap service these fall under. X-Large Items: 3 and 4 ball roller bags. If there is no drop down options for our gift wrapping service, that means that option is not available for that particular item. 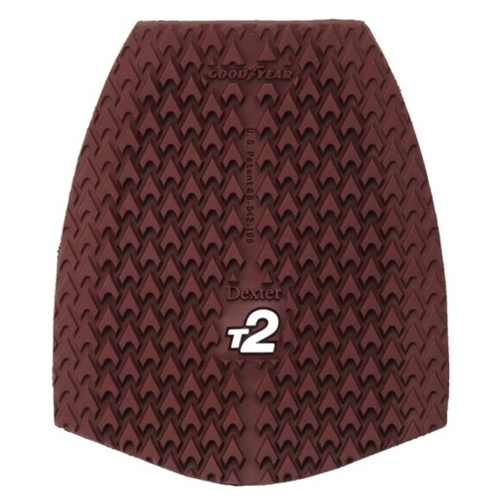 Replacement Dexter SST Traction Sole. Aero Grip traction design for maximum slip resistance. Keep up with all the latest bowling news by subscribing to our blog, Becoming a TigerSportsGear.com Fan on Facebook, Follow us on Twitter, Subscribe to our You Tube Videos & More! Click the logos for more info.